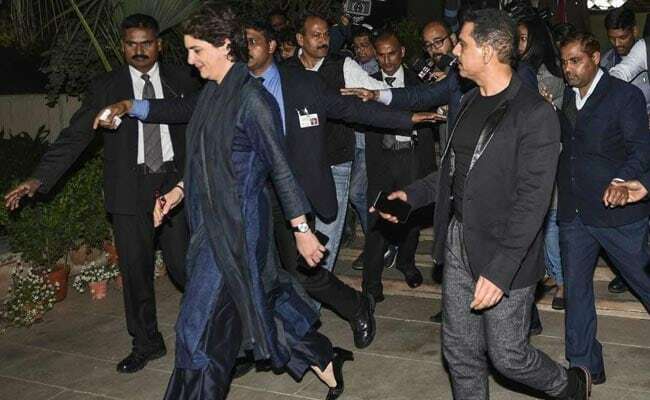 As Priyanka Gandhi Vadra started her campaign for the national election today with a roadshow in Uttar Pradesh capital Lucknow, her husband Robert Vadra wished her luck on social media, describing her as "my best friend, a perfect wife and best mother". Robert Vadra, who is being questioned by the Enforcement Directorate in a money-laundering case, also said, "...Now we hand her to the people of India. Please keep her safe." "My Best wishes to you P, on your new journey of working in Uttar Pradesh and serving the people of India. You have been my best friend a perfect wife and the best mother to our Children. There is a very Vindictive and vicious political atmosphere... But I know, it's her duty to serve the people and Now we hand her to the people of India. Please keep her safe (sic)," Robert Vadra posted. Earlier, after her political launch was announced, Robert Vadra had tweeted: "Congratulations P... always by your side in every phase of your life. Give it your best."